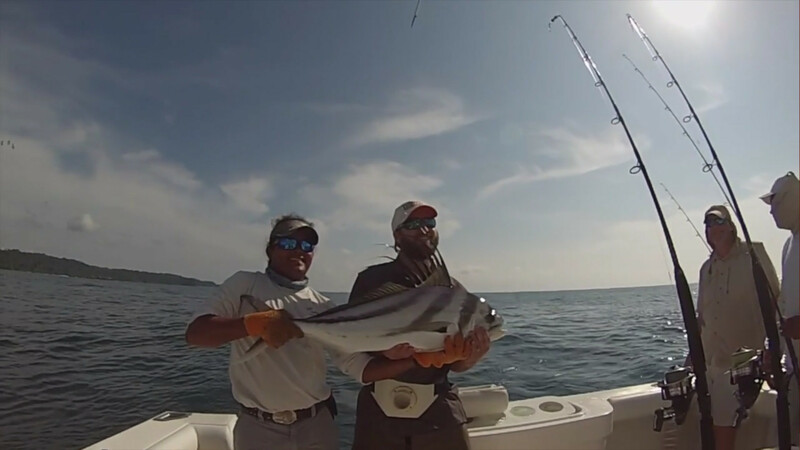 Welcome to the best sport fishing charter Costa Rica’s Drake Bay has to offer! The Captain of Fish Drake Bay, Willy Atencio is a native of the local area. He is considered one of the best Captains in Costa Rica with over 21 years experience. Willy has captained sport fishing yachts ranging from 31-47 feet in the USA, Carribean and Costa Rica. He has also fished in numerous big game fishing tournaments including the Offshore World Championships for 5 consecutive years. Captain Willy writes the fishing report for the Osa Peninsula/Drake Bay area, is on the pro-staff for Coastal Angler Magazine and numerous articles published worldwide in fishing publications. Catching fish is important but the safety of his clients is Willy's #1 priority. The Reel Escape is equipped with a life raft, marine radio, satellite phone & an emergency beacon. We are pleased to announce that we recently won the Trip Advisor Certificate of Excellence for 2018! We are very proud of our 99% Excellent rating based upon unbiased comments from customers around the world who have fished with us. Head on over to our Trip Advisor page to check out the comments and photos! Winner of the 2017 & 2018 TripAdvisor Certificate of Excellence! Fish Drake Bay is very pleased to be named "Winner of the 2018 Trip Advisor Certificate of Excellence." We take great pride in ensuring our clients have an incredible fishing adventure!